On 25 December 2016 a quarter of a century had passed since the Soviet Union broke down. This was the day when Mikhail Gorbachev relinquished his office, and the next day, the red flag with the hammer and sickle was lowered for the last time on the Kremlin. 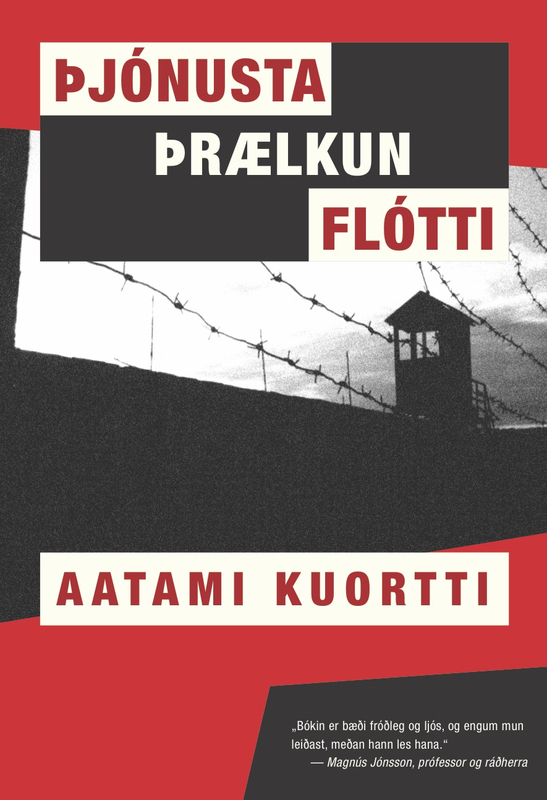 On this occasion the Public Book Club, AB, republished a very interesting source on the late Soviet Union, the book Service, Servitude, Escape by Aatami Kuortti. It was first brought out by the Christian Literary Society in the spring of 1938 in a translation by Rev. 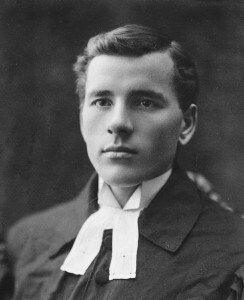 Gunnar Johannesson. The author was a Finnish-speaking Lutheran pastor from Ingria, the territory between Estonia and Finland. Rev. Kuortti served three parishes in Ingria between 1927 and 1930. He was arrested for refusing to provide the Soviet secret police with information about his parishioneers, and sent for ten years to a slave camp in Karelia. After a few months in the slave camp Kuortti managed to escape, and he walked day and night in the direction of the Finnish border. He was once caught, but managed to escape from the secret service, and after a trip of twelve days and nights through the forests and lakes in Karelia he reached Finland. He wrote an account of life under Soviet rule, his imprisonment in the slave camp and his escape in a simple and unpretentious manner, but all the more moving therefore. His book was published in Finnish in 1934, in Swedish in 1935 and in Danish in 1937. It was the first full-length book published in Iceland by a prisoner in the Soviet Gulag. Incidentally, in the autumn of 1938 two books on the Soviet Union were published in Iceland, Kuortti’s book and the Russian Adventure (Gerska aefintyrid) by Halldor Kiljan Laxness. The authors were contemporaries: Kuortti was born in 1903, a year later than Laxness, and he passed away in 1997, a year earlier than the Icelandic writer. It is interesting to compare the two books and the different approaches of their authors to their subject-matter in the light of experience. Kuortti’s book is the 8th one in a series of republications by AB of works on totalitarianism. This series forms a part of the joint RNH-ACRE project on “Europe of the Victims”. Previous books are Articles on Communism by Bertrand Russell, Women in Stalin’s Prison Camps by Elinor Lipper and Aino Kuusinen, Out of the Night by Jan Valtin (Richard Krebs), the Secret Speech on Stalin by Nikita Khruschev (with Lenin’s Testament), El campesino by Valentín González and Julián Gorkin, Baltic Eclipse by Ants Oras and Estonia: A Study in Imperialism by Andres Küng. Professor Hannes H. Gissurarson writes an introduction and notes in all the books in the series.